Laptop isn’t a cheap electronic device to ignore or throw it somewhere arbitrarily, right? No matter who you are, a businesswoman, an office lady or a school girl, once you own a laptop, it’s essential to consider a good, durable and great shock absorbent bag for it. 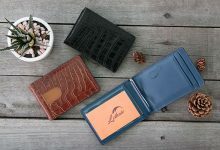 Out of considering its thick-padded laptop sleeve, there are many other features to bear in mind, like the budget, the extra space for your EDCs, the material. Is it waterproof? Is there any warranty? And things like that! 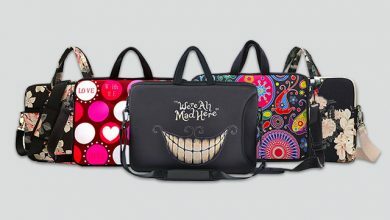 Amongst an avalanche of numerous laptop bags with different designs, colors and types, it’s admittedly overwhelming! But aren’t no a matter at all if you take a look at this collection because I’ve already done those taking-time tasks for you. All you need to do, is just read and pick! 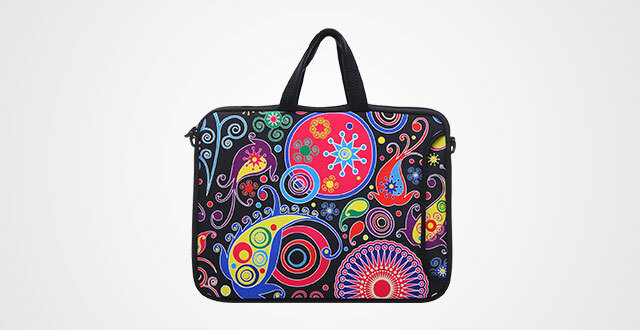 Okay, I admit that I’m a little biased to this YIDA laptop bag for girls because it’s SO colorful. Its color palette includes four but three of which are my fame: the black red, the pink and the classic colorful. The very first time seeing them, I can imagine how perfectly they match with my basic all-black outfits. And if you are a basic girl who tend to always stick to black and white clothes, this beautiful laptop bag is surely your best bet to help you dress like a fashionista. Simple yet outstanding! But of course, I’m not just focusing on its design. Its function, on the other hand, is something truly on top. First of all is its zippered major compartment for your laptop. It’s measured to fit any 15.6-inch laptop with thick padded bottom. But the best thing is it’s quite roomy to fit some more documents, books or note books. Besides, to keep your stuff well-organized, YIDA also thoughtfully adds an extra zippered pocket in the front where you can ideally put your iPad, mouse, adapter, or charger. Thumbs up for this! Speaking of material, for those who are wondering, it’s soft Neoprene fabric that once touching, it brings a clear feeling of high-quality and durable. Importantly, it’s waterproof! I think out of a laptop bag that can protect your electronic device from dust, shock and scratches, a waterproof material is something we should look for. As the matter of the fact, it would not always be sunny, right? So, what if it’s downpour raining out there? Oh, did I tell you about its comfortable shoulder straps? There is a removable and adjustable long shoulder strap which I think those girls who are tall will love because surely it can fit your height. There are two handles as well so, if you prefer carrying it by hands, just remove the strap. Easy peasy! You know it, floral is a precious in the fashion world. It’s also a privilege symbol of the femininity of women and importantly, never out of style! The charm of this motif always makes fashion fans cannot refuse. While YIDA lightens up your #OOTD with garish colorful Neoprene patterns, Dachee laptop backpack for women is an elegant highlight with youthful, feminine and energetic feeling. Two sizes for your choice: 15” and 13” to fit your laptop perfectly. 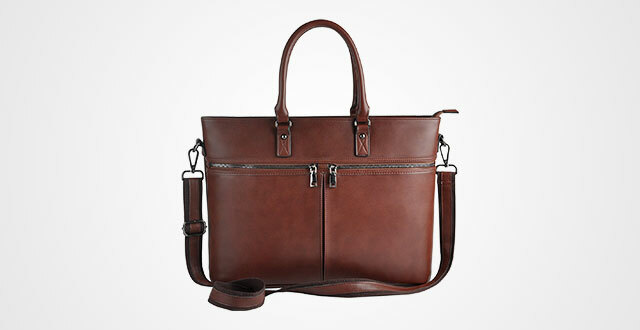 But other than that, this laptop bag is strikingly lightweight yet durable to carry around. Even with heavy load, thanks to its comfortable and soft shoulder straps and handles, ease in mind that you’re supported in the best way. Not saying that the shoulder strap is detachable so you can move it off when not in need. But take note that it’s just suitable for those who love carrying less, like a Macbook, some more A4-sized folders, a thin book and smart phone. Because its capacity isn’t as roomy as the other laptop bags in this collection. There are two zip-around compartments, one bigger with thick padding for laptop and one smaller for other extra stuff. 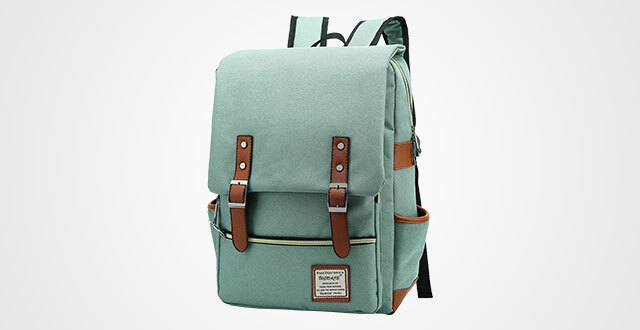 However, it strikes back with the waterproof material though it’s made out of canvas. This helps a lot to keep your valuable belongings stay safe against weather. One last thing is its machine washable. Don’t worry that the floral printed would get faded while machine washed! That never happens! Now, I know that some classic women find the YIDA or DACHEE above is too garish to fit yours, right? Don’t worry, because I also include here another best option from ECOSUSI that’s 100% you’re going to fall in love right away. Feminine yet elegant! Is that what you are looking for? Made out of PU leather. And you know what, this is also one of really-scarce favorite PU leather bags in my closet because truth to say, I’m not a fan of manmade leather. I don’t know, might there be too many rumors about their low quality or the inherent thought molded in my mind that PU leather doesn’t look as luxurious and well-made as the genuine. But you should trust me, try this one! It breaks all prejudices. Not only come up with truly high-quality material, it’s durable and beautiful as well. Hands on this laptop bag, you will find nothing’s “cheap” at all. Every single detail is amazingly well-made that I bet it can serve you for years. 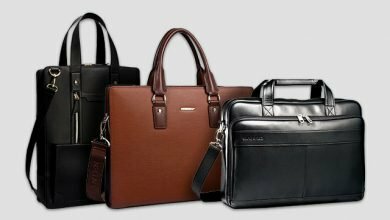 Besides, leather is good as a laptop bag thanks to its thick material to absorb shock and prevent dust or scratches efficiently. But, take notice that it can fit 14-inch laptops and smaller. Other than that, the inner construction is streamline and roomy enough to accommodate some more A4-sized folders, your smart phone, an iPad, pens and stuff like that without a burden. There’s also a Velcro strap to keep your precious laptop stay in place to cut off damage to the minimum if unfortunately, the bag falls down or is hit by something. That means just a little more effort for a lot of reward. Like the YIDA, it has one shoulder strap and two handles to vary how you carry this bag. Speaking of the shoulder strap, it’s adjustable within the range 20” to 50” drop and removable as well. Also, don’t worry of the flap top, there’s a magnetic snap on the inside to keep it closure and secure all the time. Due to its outer performance and striking functionality, this bag is really versatile. You can opt for work, meeting, interviews, school, daily use and even office job. 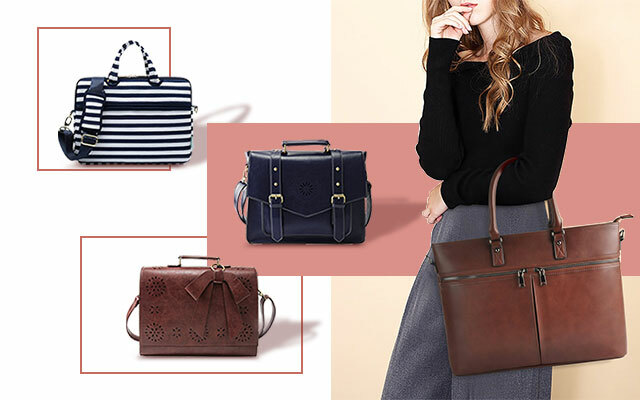 And of course, this is the best laptop bags for women to become a meaningful gift for someone you love. But if you think the previous ECOSUSI is too feminine to your style, try this one! It’s more casual, versatile, not too manly but not too feminine at all. It’s a typical design for schooling and working but you can totally use for meeting, shopping, interviewing or just daily use. There is a sturdy handle strap and a removeable should strap to vary the ways to carry. 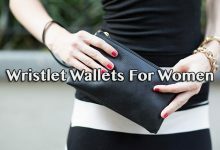 You can wear it as a handbag, a should bag, a briefcase, a cross body purse and hands-free. Besides, its functionality is the best! Weigh about 2.5 Lb., measured by 14.6″L x 4.5″W x 11.4″H with a huge compartment enclosed with a Velcro strap and thick padding for laptop, 1 open pocket, 2 small slip slots and 1 zippered pocket. See? It’s well-organized and roomy enough to fit not only your laptop, but also an iPad, wallet, notebooks, books, smart phone, folders and stuff like that. What I love the most in ECOSUSI products is their various colorways. Like this laptop bag, choose from four beautiful and elegant colors: black, blue, brown and red. For more mature, modern and professional image of a success businesswoman, here is my recommendation. 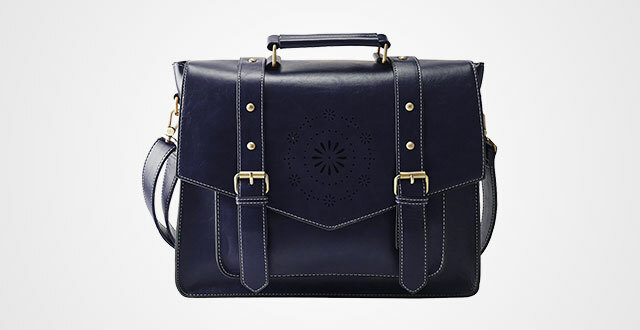 Other than its outer performance, the construction of this women’s laptop briefcase is designed thoughtfully to fit many business trips or meeting. Let’s see! There is a roomy space inside to not only accommodate your 15.6-inch laptop, but also wallets, iPad, keys, books, and pens. Particularly, everything is well-arranged and streamline to help you pick the wanted stuff out easily and quickly when in need. There are two handles and one adjustable strap, (like those two above!). But, the outstanding feature here is their extra padding in the shoulder areas or additional leather material in hand areas to support you in the best way. But the feature I highly appreciate this bag is its luggage belt design, which’s also the reason I told you that it’s perfect for business travel. Thanks to this revolution, you can hand-free while checking in or checking out or while carrying it around. Besides, get this and your precious electronic device always stay safe because of the 360-degree shockproof padding. It’s actually a bubble foam padding. But it works! Even accidentally you drop the bag, there’s no damage at all. Another small bonus is its size options. If you have a bigger laptop than 15.6 inches, choose the 17.3” design. If you care about fashion, chances are that you know stripes has been a common thread so far on the runways. We have seen many celebrities PR this style a lot since the spring fashion last year like Gigi Hadid, Cara Delevingne and Kendall Jenner. 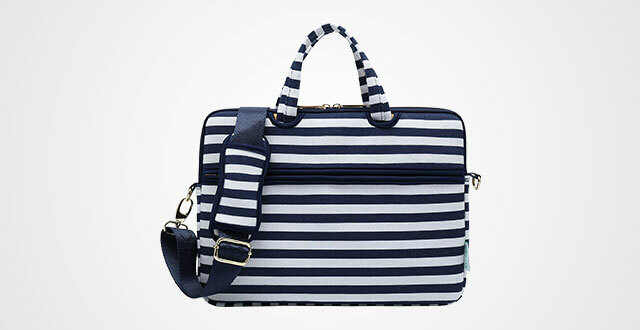 Let this beautiful striped laptop bag fashion up your style! Actually, other than this striped motif, there’s a floral design in their color palette, but I like this one more because it looks modern, fashionable and on trend. 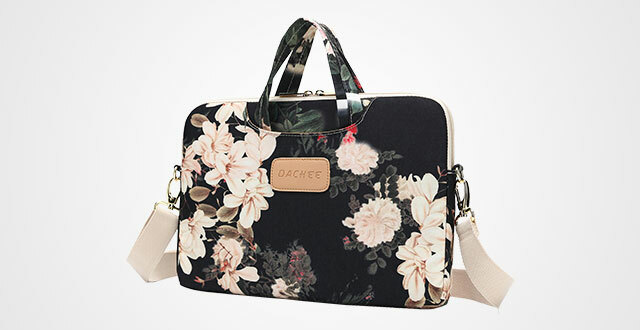 Like Dachee, this messenger bag is made out of canvas fabric with stripe printing on the outer. Going inside, there’s a polyester foam padding layer sandwiched over fluffy fleece fabric lining – perfect protection for any shock or bump or scratches. 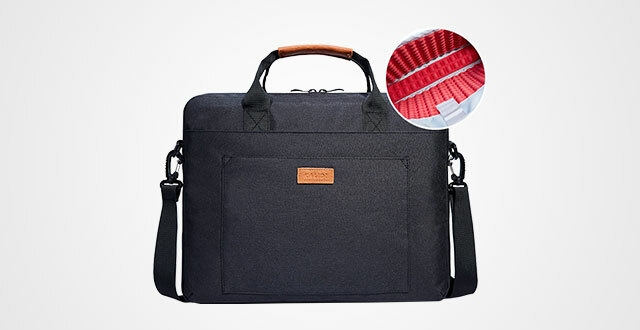 Compared to other laptop bags in this collection, might it be the best one in laptop security. So, out of stylish design, if you also focus on its protection, look no further than this design. Other than its major zippered laptop compartment, there are three more pockets. 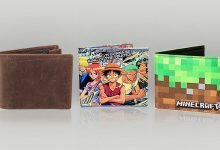 one zippered on the front and two open on the backside where you can put up mouse, adapter, pens, books and so on. Now, I know that some of you are wondering about its dimensions. Don’t worry if it fits your laptop or not because there are three options: 13”, 14” and 15”. However, because it’s designed as a slim laptop bag, don’t cramp it too much! School gals, you can’t miss out this item of the year! It’s my sincere advice not just because of its perfect outlook, but also for its quality. You know it, those daily backpacks carrying from home to school or sometimes, even going on a trip, holidays and hanging out – too versatile to take more chances of wearing out or hit or bump. That’s why we need an absolutely durable model. And this UGRACE is the one! Made out of premium lightweight tear resistant Oxford fabric with quilted polyester lining, which nothing can struggle it, at least in a couple of years. Besides, it’s roomy and streamline. There are totally 5 compartments to organize your stuff, and particularly, the laptop space is padded with thick material to absorb shock effectively as well as prevent scratches. Inside this 11.6″L x 17.2″H x 5.4″ W backpack, you can put up a 15.6” laptop, iPad, smart phone, books, bottle of water, umbrella, earphone, pens, folders and so on. In general, there’s space for anything! But don’t worry about its comfort, the back is extra padded while its shoulder straps are designed with natural manifestation of noble temperament. They are reasonably wide, soft and supportive to your shoulders a lot to feel less heavy stress than usual. Last but not least, there are 5 color options to choose from: grey, black, red, purple and green. Move on with women’s laptop tote! Personally, I find this kind of bag is pretty suitable for adult women because of its mature design. 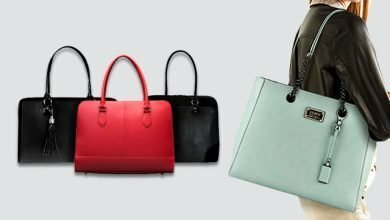 And in this collection, I picked up 3 outstanding totes for office women in different price range – from the affordable to the luxury. Start off with the cheapest one. Why cheap? Because it’s made out of nylon material. But don’t get me wrong, it’s high-quality fabric. Just when compared to other kinds of material like leather (both PU and genuine) or canvas, nylon is the most affordable choice for any tight budget. However, their durability is no joke. Besides, this material is top ranked in waterproof, lightweight and flexibility as well. Dive more deeply into this design, it’s measured by 16*12*3 inch to fit comfortably any 15.6-inch Laptop/ MacBook/Notebook. I’m a little bit in love with polka dot motif so you don’t have to tire of plain tote bag boredom. 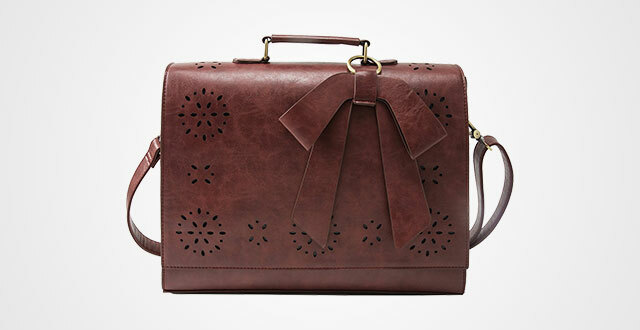 Don’t think that this handbag would come in narrow space for nothing but just your laptop. 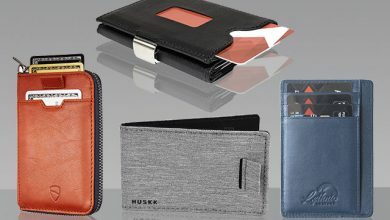 It’s roomy and well-organized with 1 major compartment with Velcro strap, 2 slots for pen, 3 huge pockets for notepad, phone or power bank and 4 slim ones for visa cards, name cards and stuff like that. As an extra space, there’s a back pocket which is big and comfort enough to accommodate many things like skincare, perfume bottle, wallet, books, and lipstick. Choose it and worry-free every time you go out. 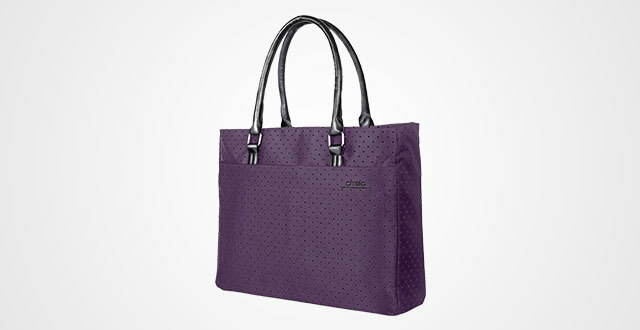 Next up is also a 15.6” laptop tote for daily use to work, office or just go out shopping. It’s classic, luxurious and beautiful enough that you can consider picking it as a perfect present on Mother’s Day. Not a bad idea at all, right? Don’t worry about its quality! Firstly, EDODAY offers a reliable warranty to cover any defaults from manufacturing process. If there’s anything doesn’t make you satisfied, just return it for no excuse. But on top of that, it’s made out of truly high-quality and durable material with good lining to the smallest details. It’s admitted to serve you for years. Also, don’t quickly judge a book by its cover! Though measured by 12.2Inch(H)X 17.3Inch(L)X 3.14Inch(W), this small baby comes in two outer zippered pockets, 1 major zippered compartment including two other smaller open pockets, 1 laptop sleeve with Velcro strap and 1 tiny zippered pocket. There you go, enough space for everything from your laptop, notebook, folder, umbrella, mouse, adapter, wallet, smart phone and so on. Not saying that the laptop sleeve is padded about 0.2” thick to provide the best security. In terms of shoulder straps, they are 47.2” long and 1.2” wide. Importantly, they are removable and adjustable to fit your height the best. In middle range, this is the must-try item. Last up is a bit luxurious women’s leather laptop bag for those who prefer more expensive look and a little showy in the crowd. 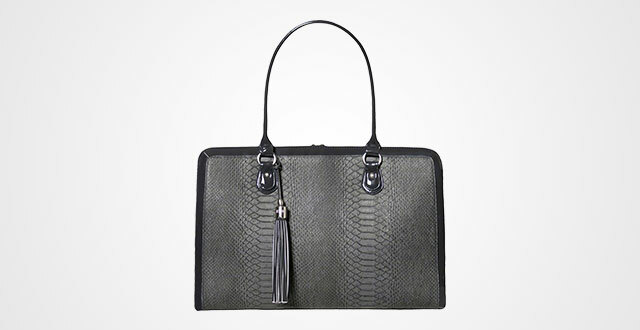 It’s made out of Gorgeous faux Snakeskin and Patent Leather with colorful lining. Under the lightbulb or sunlight, the embossing leather is reflected beautifully and luxuriously. Every single detail is made amazingly sophisticated to cause nothing cheap or fake at all. Actually, it brings a clear feeling that the bag is worth every penny you paid for. I’m not boasting or biased to this model! Other than its expensive outlook, Lindsay’s tote comes in Brushed Nickel Hardware, durable and waterproof material, sturdy Magnetic Tab Closure and Signature BfB Tassel. Besides, don’t worry about carrying this bag in the airport. Its laptop sleeve is designed friendly to check in and check out. 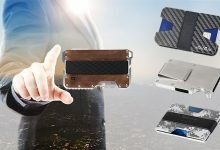 Besides, its inner construction is streamline enough to accommodate neatly and securely your belongings like laptop, smart phone, tablet, wallet, documents and cosmetics. There are side pockets, three inner compartments with a removable and adjustable shoulder straps to fit your height comfortably. But the small yet beneficial detail I highly appreciate this bag a lot is its handy clip for chains or key rings. Yeah, ready to say goodbyes to losing keys. In terms of laptop size, this baby fits perfectly any 17” laptops and smaller. Plus, there’s only one size so, carefully measure yours before choosing. I think that if you’re a businesswoman, let this beautiful and luxurious laptop tote impress your opponents in the right way. 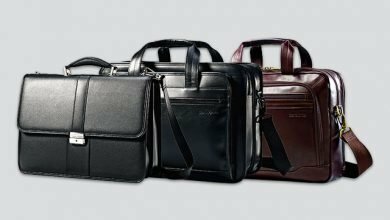 Yeah, that’s the end of this collection – 10 best laptop bags picked selectively from different price range with various motif, design, dimensions and style. Have you picked your favorite? I hope you did! But on top of that, hopefully this is at least a good inspiration to help you choose good, durable and high-quality bag for your precious laptop. And, don’t miss out my other collections about women bags or laptop bags.